I had a very busy crafting weekend! On Saturday morning, I took a trip out to Fabric Depot for their 30% off everything sale, hoping to find some yarn for the 19-skein turtleneck. To my delight, I found some Lion Brand Kool Wool, which is definitely less expensive than Goa, but just as nice. Like Goa, it is 50% Merino wool and 50% acrylic. 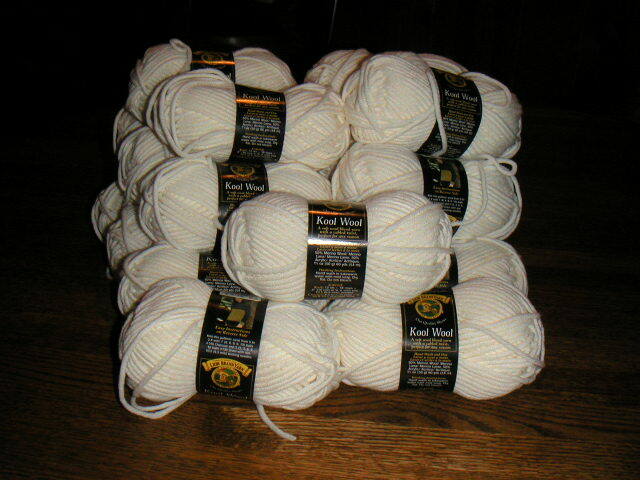 The yardage is just about the same too, so I only had to buy a few extra skeins, for a total of 21. With the sale, all that yarn only cost $60! 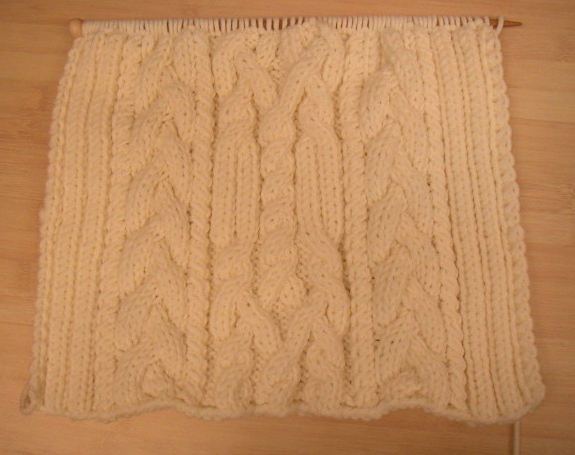 I started in on the sweater that evening and the fabric feels great. 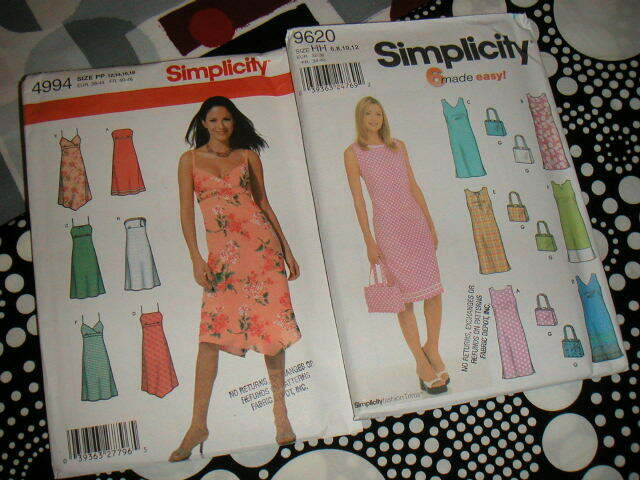 I also bought a couple of Alexander Henry fabrics to make a couple of sundresses. 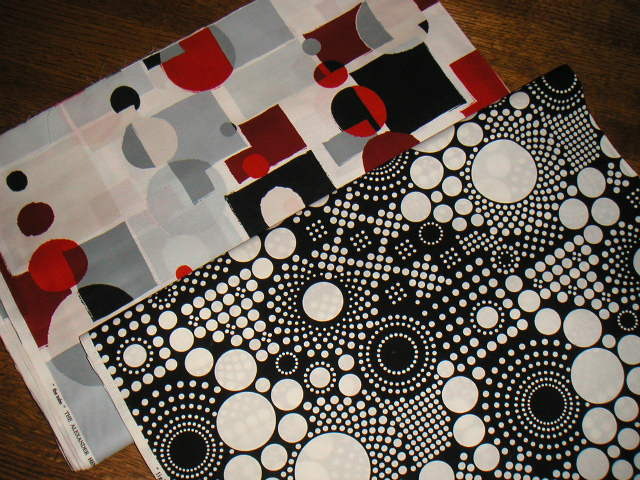 The black and white fabric will be used for the simple shift pullover dress and the other fabric will be used for the strappy dress. I cut out the shift pattern last night while watching the Oscars. I think I've decided on the V-neck. PS I also picked up the newest issue of knit.1 since I am turning into a big Lion Brand Yarn fan.